Dubai: The difference of opinion among the officials of the Board of Control for Cricket in India (BCCI) may delay the return of underfire cricketers Hardik Pandya and K. L. Rahul to international arena. As per the rules of the BCCI, an inquiry should be conducted within 15 days of issuing a suspension on any player. Rahul Johri, the CEO of BCCI, as per the constitution, is supposed to conduct the probe but Diana Edulji, one of the two members of the CoA, objected to Johri conducting the probe. Johri has been named in the #Metoo campaign for allegedly sexually harassing an ex-colleague. Edulji feels that if Johri conducts the inquiry, he will be criticised as he himself had been accused of sexual allegations. Vinod Rai, the BCCI’s Committee of Administrators (CoA) chief had recommended a two-match ban for the duo before Edulji intervened with her strong views on the matter. The result of all these is that the matter has been referred to the Supreme Court. Meanwhile, BCCI acting president R.C. Khanna has urged the CoA to allow Pandya and Rahul to play till a decision is taken. He also refused to call a Special General Meeting (SGM) to appoint an ombudsman to investigate the players — stating that as the Supreme Court is due to take up the issue next week there is no need to discuss the matter. 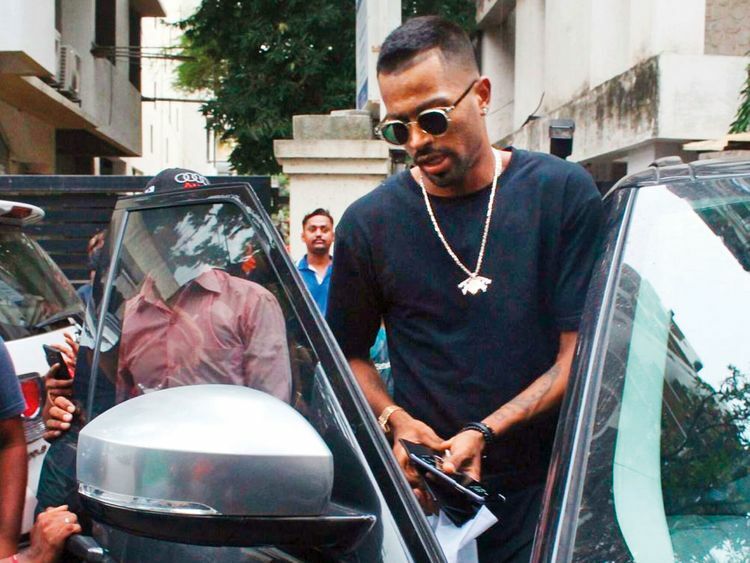 Pandya had apologised for his remark in the talk show. Khanna said: “They made a mistake, and they have already been suspended and called back from the series against Australia. They have also submitted an unconditional apology.” Khanna has written to the COA asking them to reinstate both the cricketers into the Indian squad immediately and allow them to join the team in New Zealand at the earliest. Khanna feels that the duo needs match practice if they are to be picked for the oncoming World Cup. Many in the BCCI feel that Rai should not have sought legal opinion on this matter. Former Indian cricketer and commentator Sanjay Manjrekar have also backed Pandya and Rahul asking the BCCI to be mature and not hand out brutal punishments to them. Pandya has already lost out on an endorsement contract and there are chances of the duo being downgraded from their current level of central contracts.